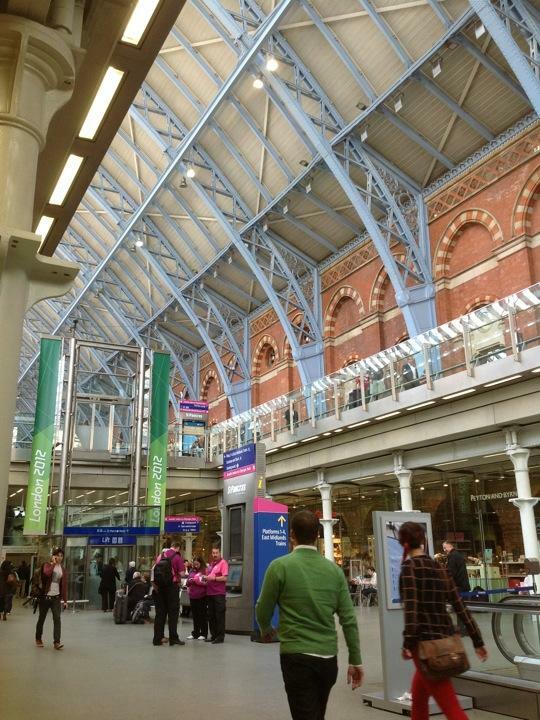 Just arrived St. Pancras station and still no sleep! It's like I'm in Vegas. We're here during the Para-Olympics. London is still buzzing with Olympic fever. Stories are splashed all over their newspapers...which I might add have that tabloid or roadside accident appeal. So I know I officially overpacked. I lugged my bag onto the scale at SFO and I missed the weight by four lbs. 1). Hammer pants. Really? Must we go thru this again?! Wasn't it enough the first time? We are waiting for our train to Paris, people watching, and enjoying some Greene King IPA. Just took a walk outside and it put it into perspective that we're really in London! Mom and Dad Ok, who's in charge of blog entries? Edgar Zambrano Have you had the pom frits?